It’s somehow fitting Swedish progmeisters Wolverine to mock them, not least for their utterly unsuitable name. Whether you associate the word with the X-Men, with the Entombed album, or the grumpy bear/weasel thing, there’s no doubt that the grumpy man with adamantium claws/death n’roll album/mammal is a world away from the serenely unexciting prog found on Wolverine albums. Although I’ve somehow had moments of pleasure with them and even called them an excellent band in the past, listening now I struggle to find Wolverine remotely exciting, being interested by moments but never quite managing to sit through an entire album with the fawning fanboyism that devotees of other, better prog bands manage – not least myself when I’m talking about King Crimson or even Anubis Gate. Their songs are too long, too uninteresting, too full of the sort of hammy misery and depression that you have to be My Dying Bride to pull off. Competent musicians who don’t know what to do with their skills, is one way of summing Wolverine up – probably the kindest I can manage. The fourth full-length from Wolverine doesn’t solve many, if any, of the issues I have with them, but it does offer a clear, sprawling view of their vision, something between Katatonia and Dream Theater’s lightest moments, hints of Paradise Lost here and there to spruce things up. It even manages moments of relative heaviness, almost crunchy guitar grooves that work together with Per Henriksson’s organ work to provide an interesting backdrop to Stefan Zell’s pleasant vocals. The songs themselves are big, unwieldy, unmemorable things of five-to-six minutes, with a few eight minuters included. 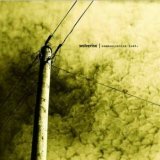 Communication Lost is a fitting title, really, as despite seemingly doing everything right – passionate vocals, excellent musicianship, melodies and solos galore – Wolverine seem incapable of actually writing a song that sticks in your head. Like a clumsy, amateurish version of Porcupine Tree, moments such as the soft opening of In Memory Of Me try to weave a compelling melancholic spell, but rarely manage to hold it for more than a minute or so, devolving into over-the-top choruses that avoid emotion or catchiness in favour of mawkishness and dullness. It’s hard to find a song here which doesn’t fall into this trap. In the same way that Anathema succeeded so wonderfully with We’re Here Because We’re Here, Wolverine have failed, and chiefly because of this central lack of ability to write a memorable song. The music itself actually isn’t bad, the likes of In The Quiet Of Dawn having so blunt and forceful a drive that it’s impossible not to be moved, emotionally toyed with in the best tradition of Hollywood's heartless blockbusters. Yet when the song’s over, what’s left? Nothing. And until Wolverine learn to change that, learn to make the listener aware of more than their effort, there’s little to recommend this attempt at emotionally-infused prog when Dream Theater and Pain Of Salvation do it so much better. Communication Lost is, then, hard to recommend to any but fans of the band who don’t mind a long journey without any of the notable landmarks that make the whole thing worth reliving.